Like something with a little less bulk? This stylish super-slim watch is light-weight and sits flush against your wrist, so comfortable you'll forget you're wearing it! 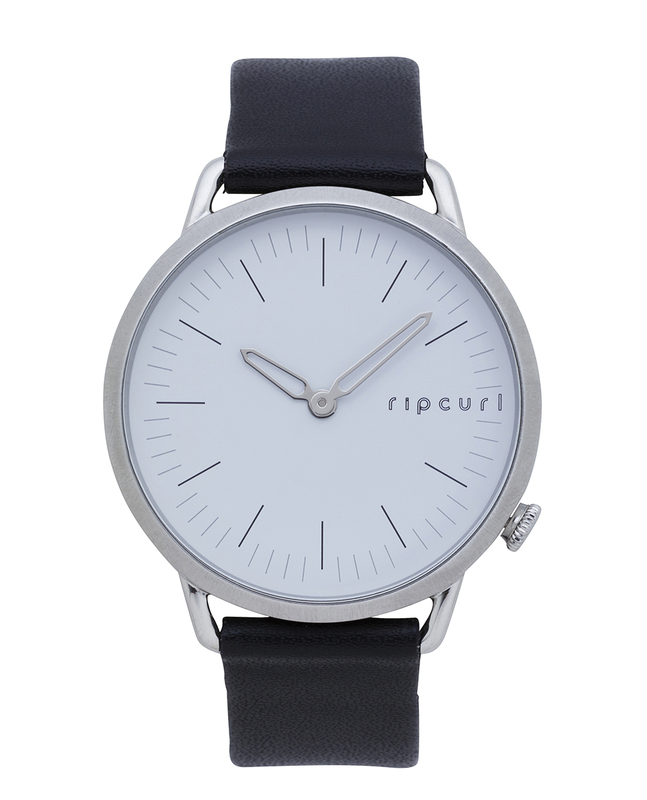 At 40mm wide and only 6.5mm thin, the Super Slim is the thinnest watch ever from Rip Curl. Featuring a classic minimalist dial design and welded tube lugs that fasten a nine-link stainless steel bracelet or genuine leather strap. The Super Slim embodies extreme comfort and classic styling. Multiple plating and finishing options create a wide variety of styles, from casual everyday wear to an elegant evening piece. Water resistant up to 50 meters (165 feet), backed with a limited five-year worldwide warranty.